fluctuations and pressure shock, extend the service life of the parts of the lifting hydraulic system! Stability optimization design, improve the long box lifting high stability, reduce rollover risk! Compared with other products with lift lifting 15%~20%. Lift larger, more loading more returns! Lighter weight, lift larger, more light! Heavy Duty Hydraulic Cylinder is applicable to the opening and closing of various sizes of orifice-type deep hole radial gate in hydropower projects. the operating temperature is - 25-80 , this series hydraulic hoist is a single hanging pointand central hinged swing-type structure.It can easily be arranged in the surface of the hydraulic construction, moving water open and close and can adapt to the working requirements of opening and closing on the condition of the moving water and Local opening , it also has the characteristics of compact structure, light weight, good technical and economic performance. 15 years in manufacturing hydraulic cylinders, application for water conservancy projects, vehicles, machinery equipments, ship building, military industry and metallurgy equipments. A2: Our factory is built in year 1973 and start by manufacturing Pneumatic Cylinder. 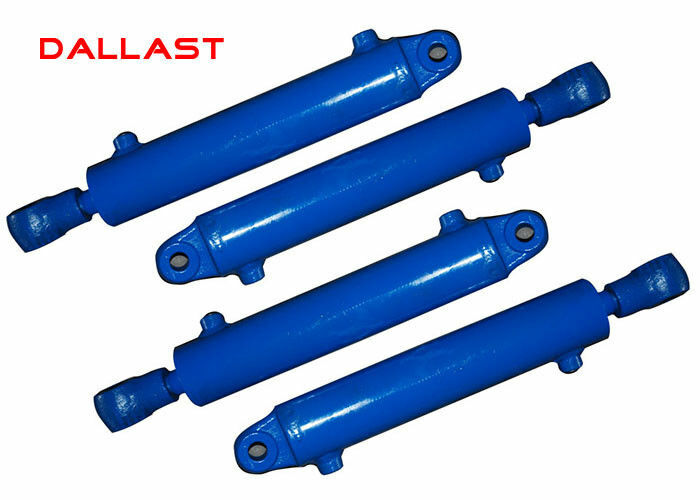 From year 1985, we start manufacturing Hydraulic Cylinder. Q3: What are the same aspects of your cylinder with Hyva cylinder? A3: 1. Same inside structure. Dallast Technology Co., Ltd is a professional manufacturer hydraulic power pack/unit, hydraulic cylinder, cylinder rod, cylinder tube, linear actuator, actuator for solar tracker, superjack linear satellite actuator for plasma lcd tv lift, penumatic linear actuator for medical bed, die casting, hydrauliv valve and manifold, wheelchair autolift, tyre mould, etc.